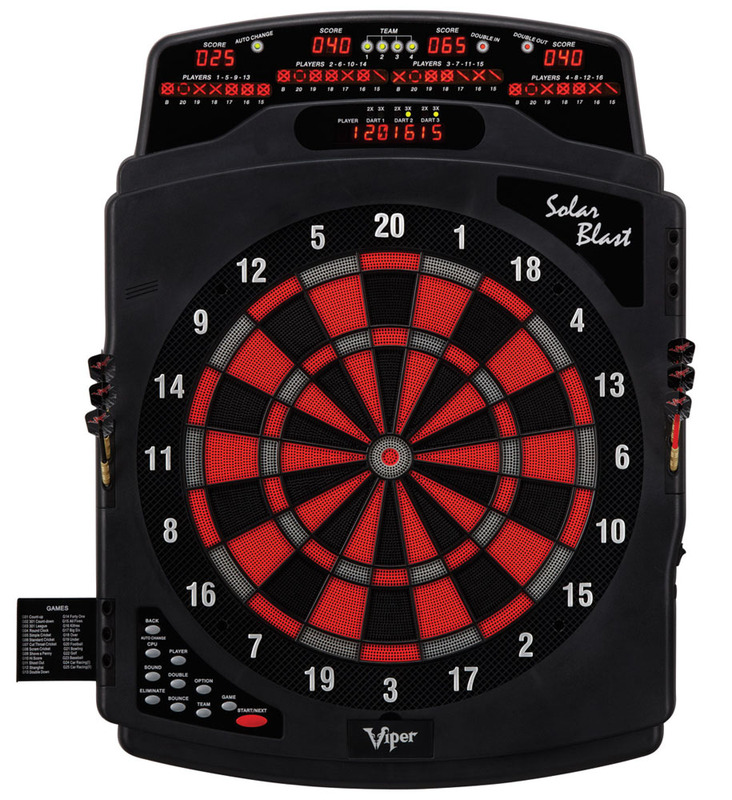 The Solar Blast Electronic Dartboard is a great choice for your downstairs rec room or upstairs den. 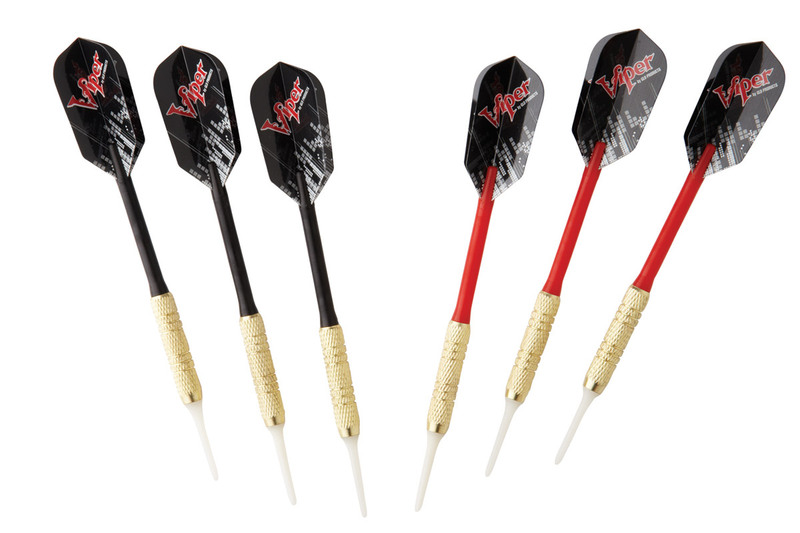 Quality constructed of a much more durable, higher-end, nylon based plastic, the Solar Blast is sure to outlast other comparable options. 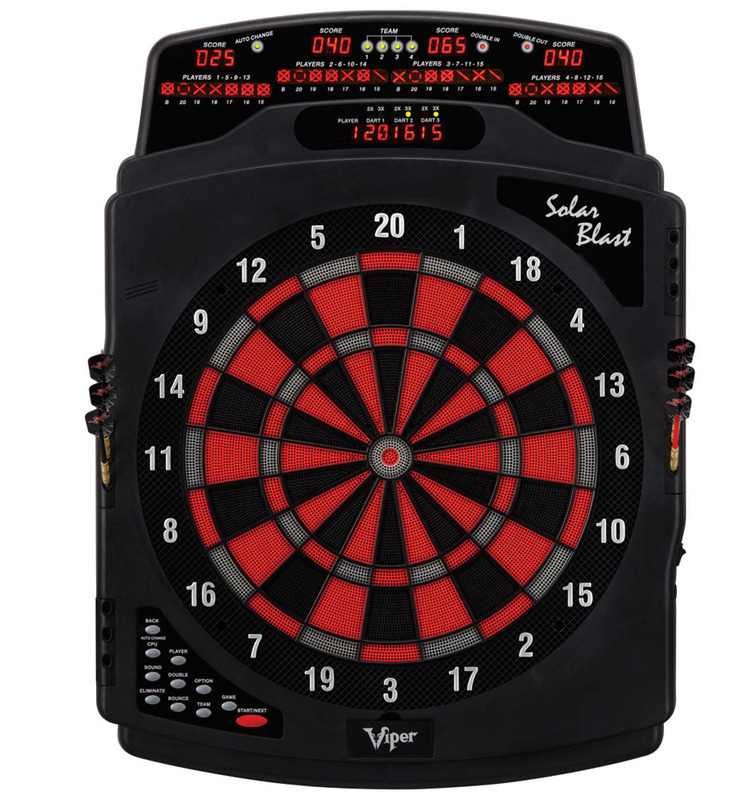 Meanwhile, this 15.5" regulation dartboard is outfitted with a 4 top-mounted 0.5-by-4-inch LED cricket displays keeping track of up to 16 players at once. The scoring displays at the top provide a more natural line of sight for easier viewing when checking in on one's scores.